Influencers influence a wide variety of followers and get them to listen, to engage with the content and this has been leading the brands to achieve their sales. Brand awareness definitely has a chain effect on the sales and visibility on a longer cycle. But what do you do when your brand isn’t well known by the public? When you know that your product is good, but the traditional methods don’t work in pushing your brand to the public. This is where influencers come in. We are talking about picking the right influencer for you – i.e. someone who not only has a decent-sized following but who also has an engaged following that fits your brand – can be invaluable to your content. Every brand looks at the number of followers, trustworthiness and other offerings by the influencer before hiring for a campaign. Let’s talk about one of the important aspects in the list: categories of influencers. How do you know if a particular type of influencer is well suited for your campaign? Here’s a list of categories of influencers that will come in handy while picking them. Let’s pick the obvious one first. Movie stars probably started the initial stages of traditional influencing. They have been so influential in the country that they have reached important positions like being a politician or even as high as becoming the chief minister of a state. These top-tier influencers are highly sought and constantly approached by brands of fashion, beauty, tech, and lifestyle. They are definitely on the expensive to work with and regardless of the cost, their demand never goes down due to their incredible result delivery. They are ideal for making brands as household names. 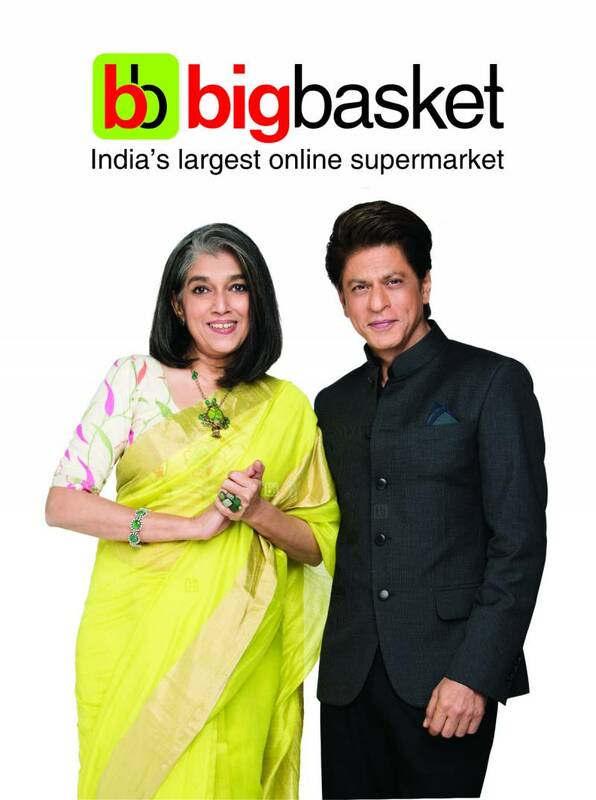 A prime example would be Shahrukh Khan endorsing Big Basket. We have already written a blog on Sportsmen as Influencers which shows how big an industry this has been tapped into. Their cost range equals or sometimes topples over movie stars giving equally excellent results. They are constantly talking about lifestyle, fitness, food and energy drinks brands. Have a look at Virat Kohli’s paid partnership with Puma India where he talks solely about shoes. This campaign has currently garnered around 370K likes and 838K views with a comment engagement rate already nearing 2000. While in the western media, Bachelor and Bachelorette contestants have been the key influencers over so many years, India has also been lately recognizing TV stars who create a household connection. They are time-sensitive due to their current relevance. Consumers relate to them mainly because of relatability. Karishma Tanna, who became quite popular after her appearance on Big Boss, is a prime example. They are no longer limited to smaller brands and even big brands like Amazon understand the niche audience concept and approach them. Moving on from celebrities and traditional brand ambassadors, we find ourselves in the digital space, where the term influencer really shines. Bloggers and vloggers are the nextgen of influential people, they are the 21st-century influencers and they are building their empire one blog post (or Youtube video) at a time. The thing that sets bloggers and vloggers apart is that they have a dedicated platform where they regularly create high-quality content for their audience and then share that content across their other platforms to grow their community, build trust and establish authority in their niche, whether that is fashion, food, beauty, technology, sport, travel or gaming. Bloggers and vloggers have power over digital influencers and are the perfect addition to your content, social media and influencer marketing strategy. Look at Bruised Passports making their way up to the top of the leaderboard. This campaign of Platinum Guild International gave the brand a reach of 600K and an engagement of about 100K. Photographers are increasingly becoming a new breed of influencers as content that values quality over quantity is demanded from both brands and markets and consumers and social media users. As a shift to focus on high-quality content proliferates, photographers have become influencers in their own right, and are regularly engaged by brands to capture and share imagery, particularly in the fashion, travel and adventure space. International camera brands (GoPro, Canon, Nikon etc) also regularly work with photographers to share information about their products. Take Ganesh Vanare as an example, who worked with Skinn Amalfi Blue for a campaign. Ganesh is an extremely talented and upcoming photographer who has gathered followers enough for him to be a branded influencer. This kind of campaigns targets a niche set of demographics with excellent ROI for the brand. The above-mentioned influencers are the niche influencers who only talk about a certain set of topics in their social media circle. Some of them are even cost effective and deliver great returns. This has always been one of the key advantages of influencer marketing itself. Also, the mentioned categories are just the tip of the iceberg. While this can be a classic reference for the current state of influencers, there are more upcoming who even innovate with the categories. Look at the comics and artists like goodbadcomics, sarahscribbles in the art industry or even feminist influencers who have been surging lately. As a brand, what kind of influencers do you look to hire? Have you experimented by collaborating with influencers who are unrelated to the brand’s industry but have given exceptional results? We’d like to know what you think. Let us know below in the comments or connect with us on Facebook, Instagram, and Twitter.